Hi everyone, hope you are all well. 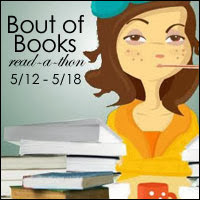 Another bout of books read-a-thon is coming up again in a few weeks, and I am so excited! I signed up today.. and I can't wait to participate again. I had a blast last time and I accomplished so much reading, which was awesome! Hi everyone, sorry for the lack of posts, I have been swamped with the end of semester classes, but I have a book review for you all today! 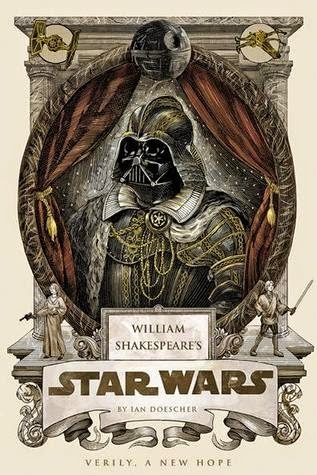 Book one in a trilogy: William Shakespeare's Star Wars: Verily, a New Hope by Ian Doescher. What is the premise of the book? What are your overall thoughts on it? It takes the world written by George Lucas, Star Wars, and he presents it in Shakespearian language. This the first book of three and this first instalment is a retelling of the beginning of the saga. It includes very beautiful artwork and images interwoven within the pages. Packaging wise, it is a beautiful hardback published by Quirk books, and when you remove the dust jacket, the hardback has the look of an older book which is lovely, and offers the essence of a historical text. Going off and continue on from my review on Goodreads (if you've read it already), overall, I think it is a very charming, witty and funny retelling of the famous series. The 'aside' monologues were my favourite especially. If you are a fan of Star Wars, and you like iambic pentameter, then this is a must read for you! Rating of the book: 4/5 stars. Disclaimer: This book was sent to me from Quirk for consideration/review. All opinions are my own.